The success of your event sponsorship sales is highly dependent upon how the packages are designed. Prospective sponsors should be able to quickly digest the packages and have a clear understanding of the value they’ll receive for the cost of the offerings. The right mix of both of these elements can result in irresistible event sponsorship packages that will appeal to sponsors and leave them excited to sponsor your next event. In order to present packages from a value-focused perspective, you have to know what value means to your prospective sponsors. This means doing your research. Start with some Googling. This is why having 1-3 sponsor personas is important. It allows you to make research and experimentation manageable. So, for your personas, research their day-to-day jobs. What are the challenges of that particular role? What are the pains or areas that this persona struggles with? What are they responsible for and what does success look like for their role? These are all key questions that you should have a fairly solid understanding of. The next step is to talk to people who represent the average of each persona. For example, if your personas include a brand marketer, a startup founder and an event marketing manager, try to find at least one brand marketer, one startup founder and one event marketing manager to talk to. Hint: Linkedin is a great place to look and there are plenty of people who would be willing to do a 30 minute phone interview in exchange for a $20 Starbucks gift card. Be advised, the purpose of these interviews is purely for research — if you try to sell your interviewee on sponsoring the event, you’ll be wasting their time and your own. During your persona interviews, ask your subjects to be as candid as possible during your discussion. The goal is to uncover the role-related pains/objectives and budget that a prospective sponsor will have so that you can design your own sponsorship packages accordingly. 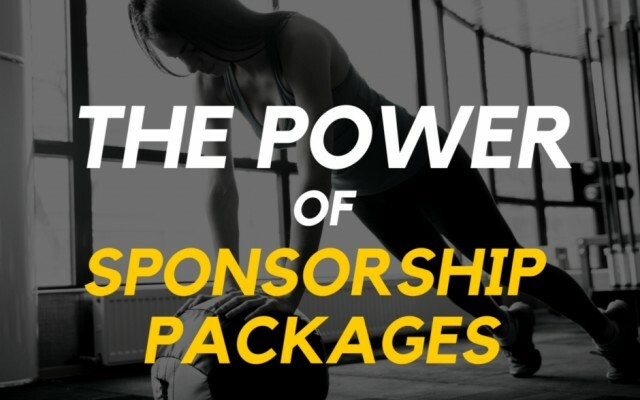 Having a full understanding of each persona’s pains and objectives will allow you to construct sponsorship packages with offerings that connect to the persona’s needs. Budget obviously allows you to align your packages to pricing that your sponsor would expect as sponsorship packages that are too costly (or too inexpensive!) 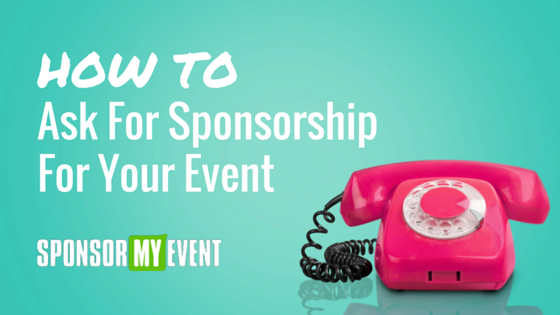 can raise red flags for prospective sponsors that your event may not be professional or may be out of their league. Ask them about your research into their roles to validate your understanding of what their roles are like. Ask them for their perspective on event sponsorship and any hesitations they may have about sponsoring events in general. Ask them how they choose (or would choose) events to sponsor and what they’d be looking for. Ask them for the type of budget they would allocate (or expect to spend) on a few different sample offerings. The next step is to understand the “market” for events and their sponsorship offerings that you’ll be competing in. Make no mistake, you may think your event is unique. And, it may be. But that doesn’t mean there aren’t a dozen other events that your prospective sponsors are considering and no sponsor has an unlimited budget. That means that you have competition that you’re likely unaware of. In fact, you could be competing with non-event sponsorship or advertising options as well. For now, let’s just limit our market research to events in your market. Start by researching similar events. 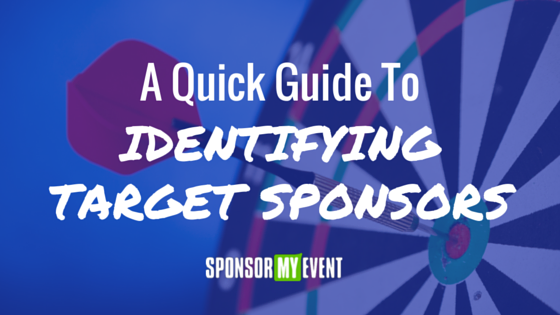 Many events provide a sponsorship prospectus on their website which is a goldmine for market research because they often list the number of attendees as well as pricing for the sponsorship packages they offer. Try to ‘mine’ as many of these prospectus documents as you can find for your market. You will begin to see common themes in both pricing and the nature of the packages offered. Now, it’s time to take what you’ve learned about your sponsor personas as well as the sponsorship market and create irresistible sponsorship packages comprised of well-priced, thoughtful offerings. Revisit your notes from your sponsor persona interviews and your notes from your event competitors’ sponsorship offerings. Identify any gaps between what your sponsors interviewees said that they needed versus what is currently available in the ‘sponsorship market’ for each persona. What type of sponsorship offering can you create to fill this void? Maybe that offering guarantees a certain number of leads provided to them so that sponsors feel less of a risk in their investment. Or, maybe they’re looking for more brand exposure in the community– perhaps their brand’s founder or CEO can be on hand to present an award and give a quick talk about their company. Next, you’ll want to create a selection of standard packages that compete directly with what other events are offering. This allows your prospective sponsors to choose something more innovative, like we just described or something that’s more tried-and-true like a brand logo sponsorship on event collateral. Make sure that you clearly articulate what you intend to include in each package or as a la carte offerings. Packages should include some type of added value like additional included offerings or a unique option that isn’t available to anyone but the sponsor that chooses that package. Spa-nsership Package: No matter what type of events you organize, you can always offer a little bit of extra TLC for attendees. Whether it’s a quick neck massage before an extreme race from a local massage therapist or an express manicure from a local nail salon during a B2B tradeshow, attendees always appreciate a moment to destress. Offer sponsors the chance to spa-nser one of these pitstops with some added brand exposure by branding the “spa” area and therapists’ uniforms or add in lead generation component that asks attendees to share their email address in order to register for a spa service. 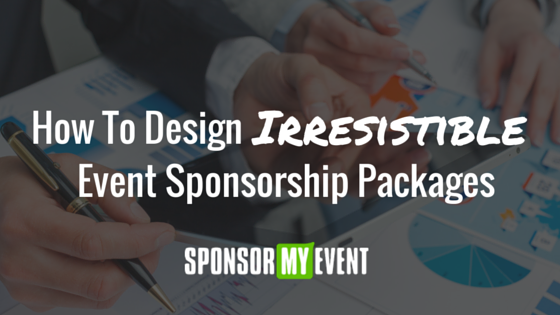 Once you’ve designed a set of ‘irresistible’ sponsorship packages, make sure that your sponsorship prospectus is equally enticing. We’ll cover how to create a stellar event prospectus in our next blog post for event organizers.
? Subscribe to our newsletter, The Ticket, for a curated roundup of the week’s best event marketing content from around the web, including our own posts and our favorites from other event planning and marketing publications.